Mionix Castor and Zowie FK1 are two gaming mice with very different designs. To begin with, Mionix Castor is an ergonomic gaming mouse for the right hand, whereas Zowie FK1 is ambidextrous. So, which one is better? 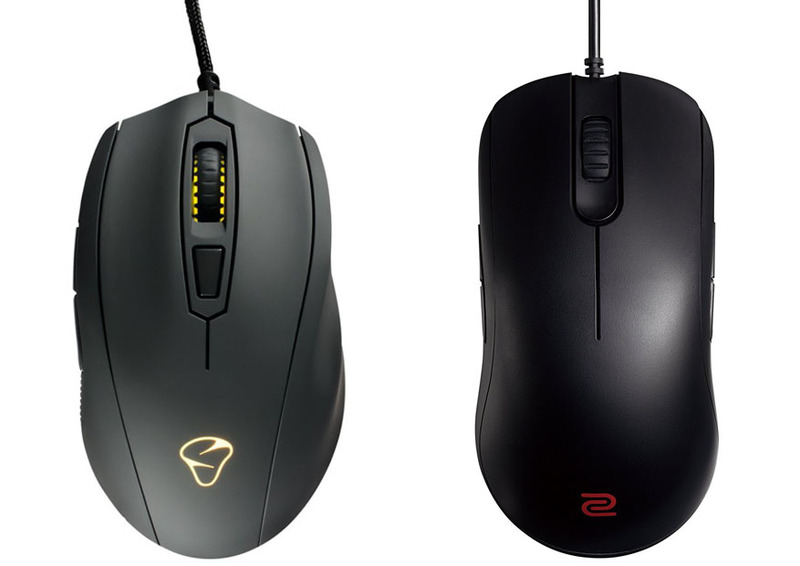 Below, you can read the detailed differences and comparisons between Mionix Castor vs Zowie FK1. These two gaming mice are obviously designed for very different users. Mionix Castor is quite wider. It has an ergonomic design with subtle curves to provide enhanced comfort for right-handed users. The wide design is very nice for palm grippers, but people with other grip types can also use the mouse comfortably. See also: Mionix Castor vs Logitech G502. Mionix Castor looks cool and stylish. The brand logo is on the palm area. You can see the RGB backlight behind the scroll wheel, and the scroll wheel feels precise and sturdy. On the left side, there are two thumb buttons that are solid and durable. On the right side, there are support grooves for the pinky and ring fingers, which are very comfortable. On the other hand, Zowie FK1 has an ambidextrous shape with thumb buttons on both sides to provide equal benefits to left-handed and right-handed users. However, this mouse is very slim. The shape is almost flat from top to bottom. People with large hands may find it too narrow and uncomfortable. Zowie FK1 is simple without any fancy light. The whole mouse is black, except for the red brand logo near the bottom of the mouse. If you prefer a stealthy look, this mouse may be a viable choice. Mionix Castor has a total of 6 programmable buttons, which include the two thumb buttons, the scroll button, and the middle button under the scroll wheel. As mentioned above, this mouse has a programmable RGB backlight. You can customize the buttons and backlight via the customization software. You can also assign on-the-fly DPI switching to one of the buttons. The native sensitivity is 5,000 DPI, but this mouse supports up to 10,000 DPI. Zowie FK1 is plug-and-play. It does not require any software. You can assign in-game commands to the additional buttons via the game’s settings. Zowie FK1 supports on-the-fly DPI adjustment, but the steps are not customizable. They are set to 400, 800, 1600, and 3200 DPI. Both mice are armed with optical sensors. So, you can expect generally consistent and accurate performance from either mouse. Mionix Castor features the PMW-3310 gaming-grade optical sensor. It is really impressive. It is highly accurate and precise. On the other hand, Zowie FK1 comes with the Avago 3310 optical sensor, which also offers good performance with low lift-off distance. All in all, Mionix Castor is the winner. It has a more comfortable design that is suitable for all grip types. It also has programmable buttons and RGB backlight. The performance is great. On the other hand, Zowie FK1 is only recommended if you need an ambidextrous mouse.